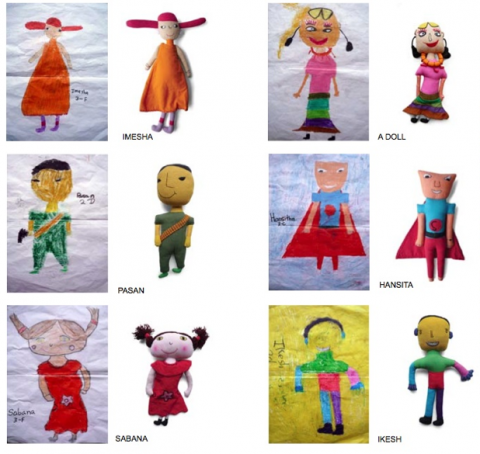 These unique dolls were made in collaboration with Selyn, an organization in Sri Lanka. Designer Alexa Lixfeld worked with children in Sri Lanke and the dolls are based on drawings that they made that were then transferrred to hand woven, 100% cotton fabrics, and printed with non-toxic dyes using fair trade standards. They just make me giggle. Brilliant! Looks like what Jodie Fried did with Bholu a while back. These are just the cutest things!!! A good friend undertook a somewhat related project in his final year of art school. I really like the idea of these dolls! What a simple, effective and wonderfully memorable concept. Thanks for sharing! Oh I love this idea! 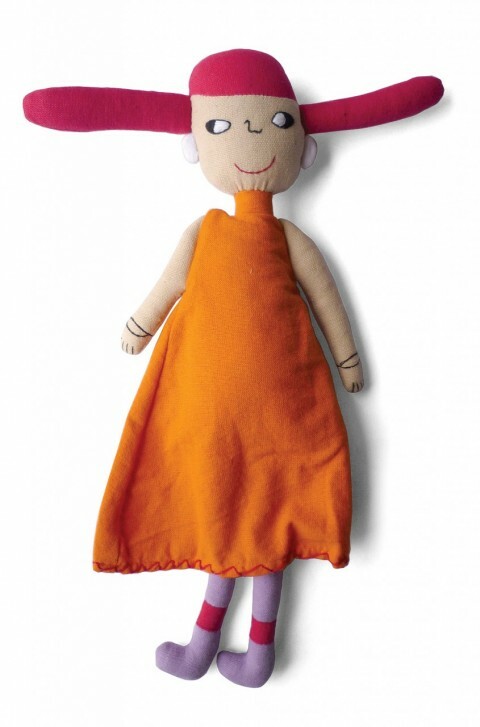 How clever turning the drawings into dolls!